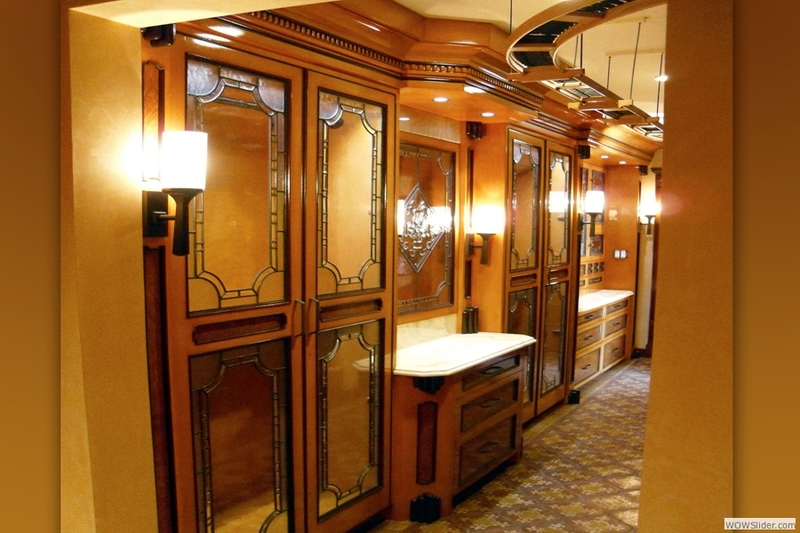 In collaboration with Master Carpenter Antonio Aldama, each piece shown is customized and hand-crafted to the specifications requested by each client. 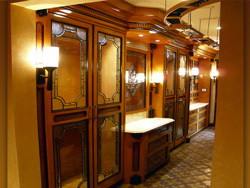 Your specifications will differ according to your room characteristics and wall constructions. Request an appointment to discuss your particular needs. Click the CONTACT button to access the request form. 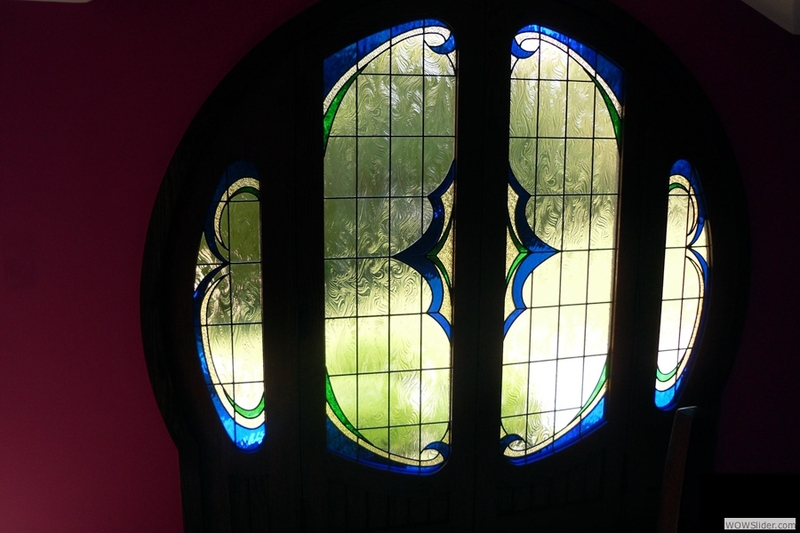 ARCED WINDOW: Inspired by the work of Antoni Gaudí, this living room window was designed by Lance Glass, handcrafted by Antonio Aldama and commissioned by Thomas Jane. Rendered in white oak for natural beauty and resilience to weather. Window features swing out casements, left and right, stationary center panel, duel glazed insulated clear glass. 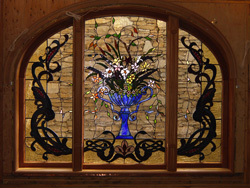 ARCED WINDOW: This Art Nuevo style bouquet and vase panel features Lamber's mouth-blown glass and Mahogany frame. Until the early 20th century, all window-glass used to be manufactured by gaffers with blowpipes. Glashütte Lamberts has preserved these production techniques and provides the authentic character of historic window-glass until today. Handmade in German, they are one of the last companies still making mouth-blown sheet glass in the European tradition, and unquestionably, the finest. 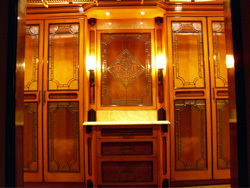 ARCED DOUBLE DOOR with side lights was adapted from a movie set that had a Chinese flair. The movie doorway was red with black trim, and rice paper windows. We gave it an "art nouveau" twist by incorporating a border, bold medieval shield in the center. FULL-LENGTH WALL CABINET: A take off on Scandinavian Biedermeier furniture, these highly refined built-in wardrobe cabinets feature the iconic maple with black trim. 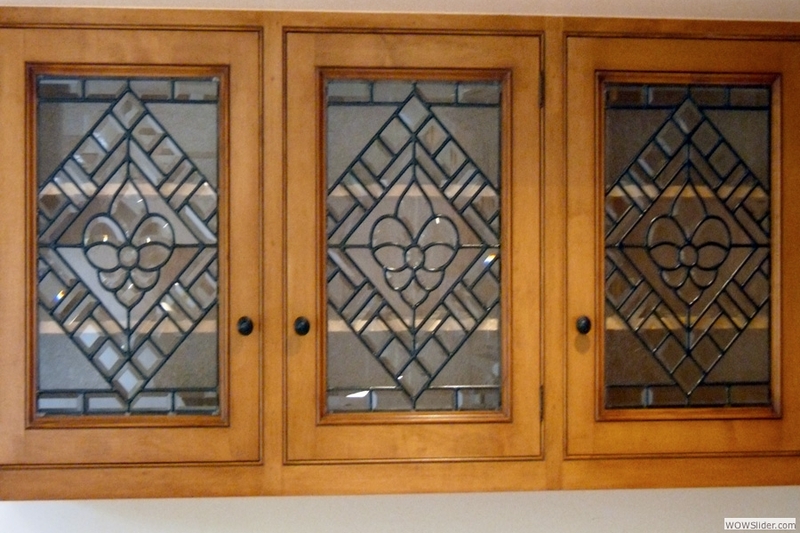 Leaded glass door inserts with beveled borders, French fleur de lis quatrefoil, and German clear antique glass finish off this international affair. GOTHIC CHURCH PULPIT: Commissioned by Templo El Oasis Foursquare Church in Lancaster, CA, this gothic revival pulpit addition features a very eye catching improvement to the contemporary drywall construct commonly employed in stucco clad buildings. A relatively inexpensive way for a church to make their worship area far more inspirational to members. 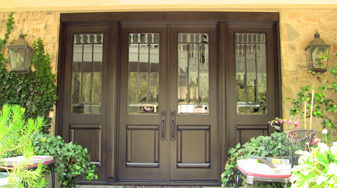 FRONT DOORS: 4 Alder entry doors designed by Lance Glass and Leslie Lafaro (World Wide Design). Located in the exclusive community of Hidden Hills, CA, the bold modern lines of this entry system are complimented by custom 1 1/2" ramp clear beveled glass and heavy 3/4" lead lines. 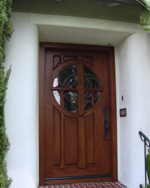 FRONT DOOR: Art Nuevo meets Gaudi entry door, commissioned by actor Thomas Jane for his Los Angeles residence. Design by Lance Glass and constructed of White Oak, this one of a kind door is very substantial visually, physically and emotionally. 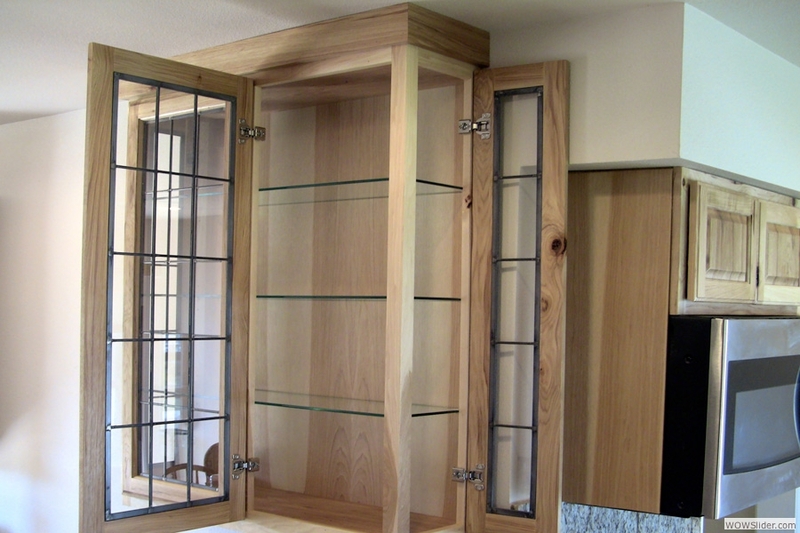 BAR and CABINETS: Along with the 4 Alder entry doors Lance and Leslie continued the theme in this living space. 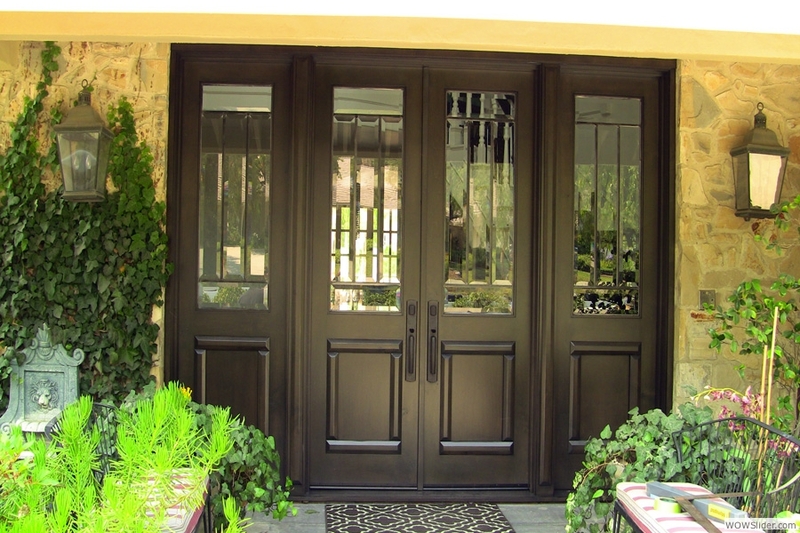 Bold modern lines and custom clear beveled glass are accented with heavy lead lines. The once thoroughbred horse community of Hidden Hills in Los Angeles, which celebrates residents such as Jennifer Lopez, Melissa Etheridge, Jessica Simpson, the Osbournes, Denise Richards, Britney Spears, the Drake and others, harmonizes with this rich traditional "bonanza" style. BATH and WINDOW SET: Glass designed by Lance Glass and Sharon Viljoen (Viljoen Design) for attorney Brian Witzer's Hollywood Hills home. 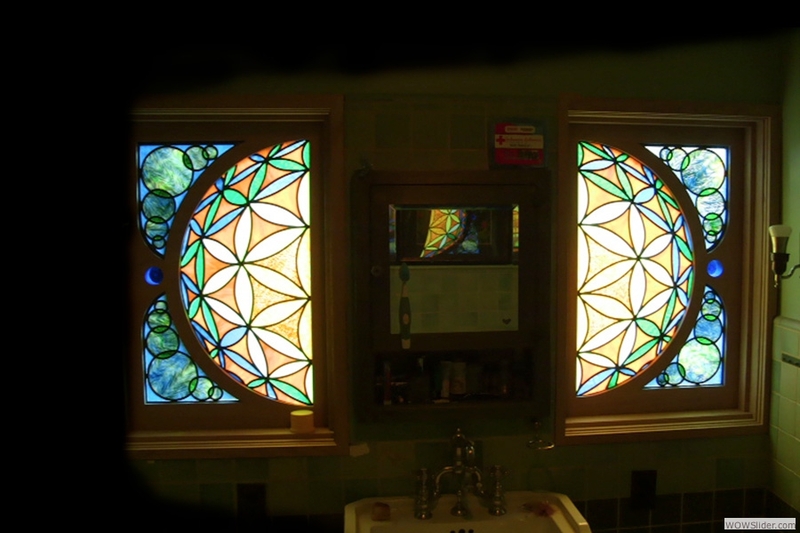 The stained glass was designed to complement Sharon's exquisite use of hand crafted tile and stone while providing shower privacy. 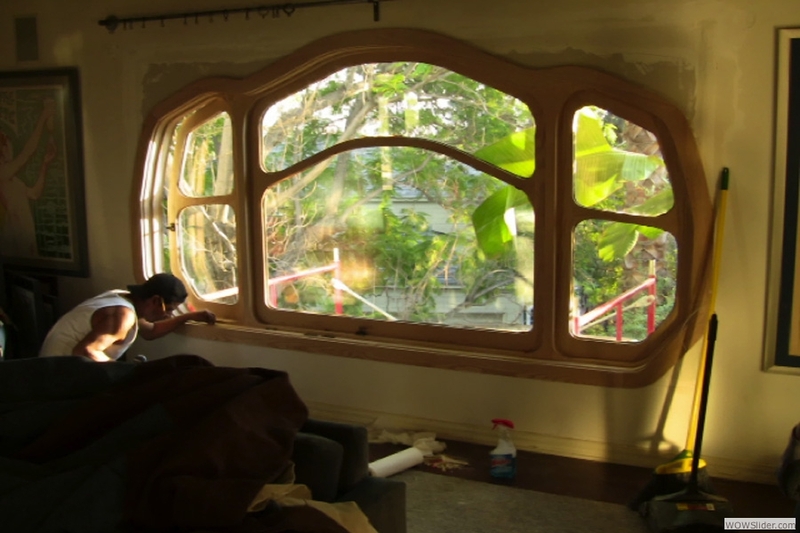 HALF MOON WINDOWS: Another Lance Glass Thomas Jane vision. 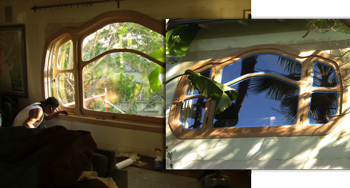 This very unique window and frame combination has a spherical 3-D intention behind it. A surreal solar system, geometric 3-D star surrounded by planets. 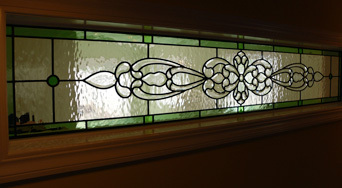 LONG WINDOW: A very popular style of contemporary art glass-lovers. German antique boarded, water glass background, and Victorian style bevel cluster. This piece added to home's decor, allowed natural light to pass, and reduced the sound from media room into dining room. 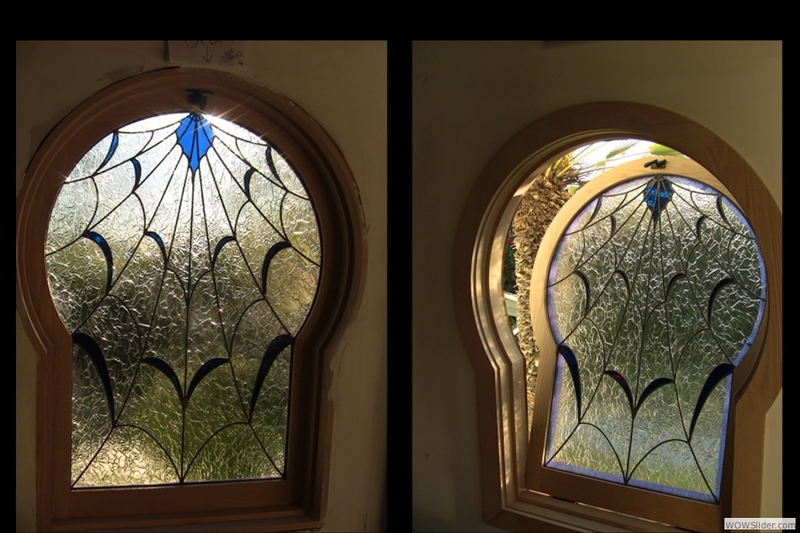 KEYHOLE WINDOW: This is a vintage style keyhole window of Moroccan influence. 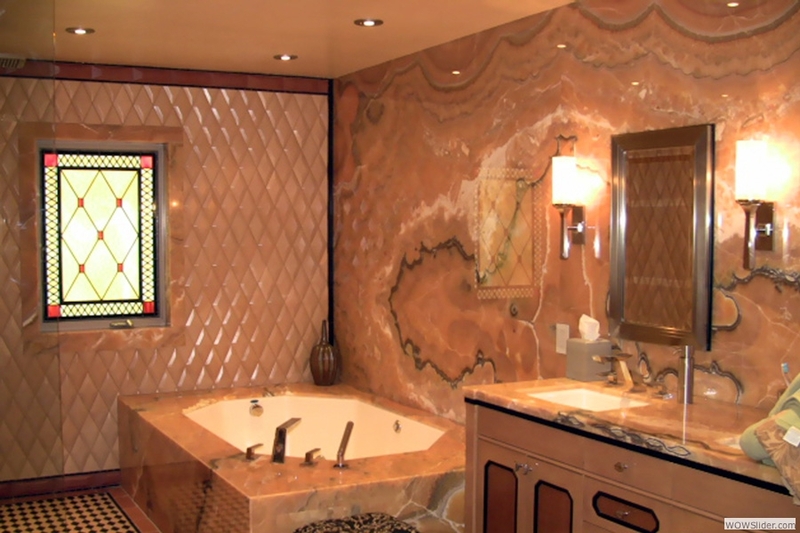 They were very popular in the homes of Hollywood stars of the 1920s such as Charlie Chaplin. 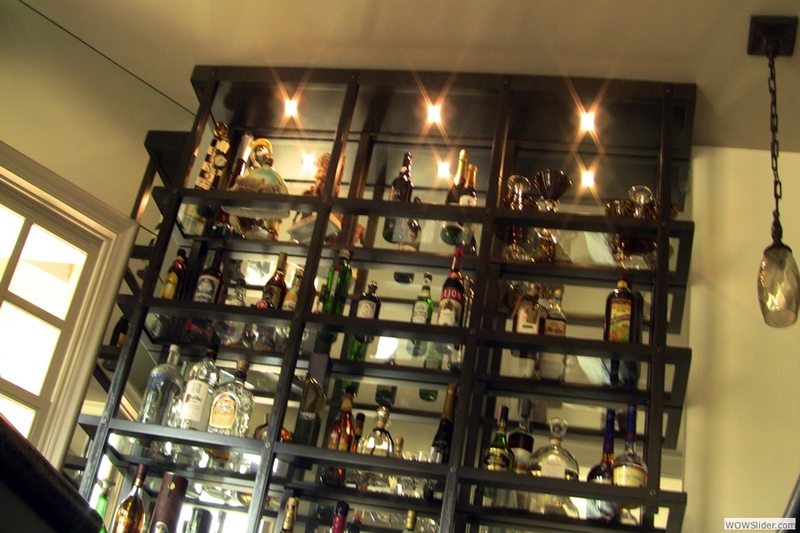 The glass design has a modern horror film / superhero film twist -- webbing and highly textured ice glass. Notice the unique bottom hinging method. 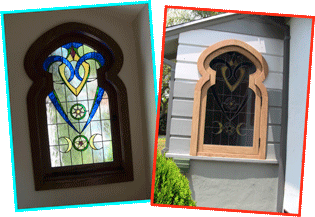 KEYHOLE HEART WINDOW: Just as the above unique window was influenced by Moroccan culture, so was this 1920s Hollywood style keyhole frame. 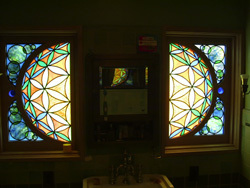 The difference lies in the artwork which features a white magic themed stained glass window. SMALL CABINET: This Hickory lumber 4 door cabinet was designed for easy access over existing kitchen island. Access to content from ether side of island is very convenient.